Christmas has been all things to all people: a religious festival, a family celebration, a time of eating and drinking. Yet the origins of the customs which characterise the festive season are wreathed in myth. When did turkeys become the plat du jour? Is the commercialisation of Christmas a recent phenomenon, or has the emphasis always been on spending? Just who is, or was, Santa Claus? And for how long have we been exchanging presents of underwear and socks? 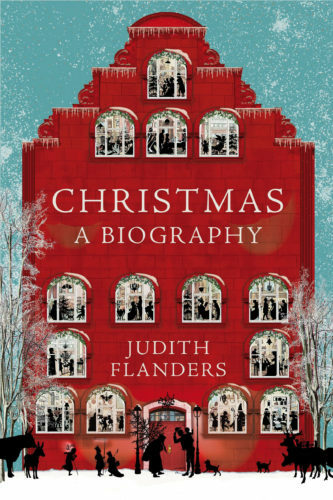 In Christmas: A Biography, acclaimed social historian and best-selling author Judith Flanders casts a sharp and revealing eye on the myths, legends and history of the season, from the origins of the holiday in the Roman empire to the emergence of Christmas trees in central Europe, to what might just possibly be the first appearance of Santa Claus – in Switzerland! – to draw a picture of the season as it has never been seen before. There was every possibility that I was dead, and my brain hadn’t got the memo. Or maybe it was that I wished I were dead. On reflection, that was more likely. 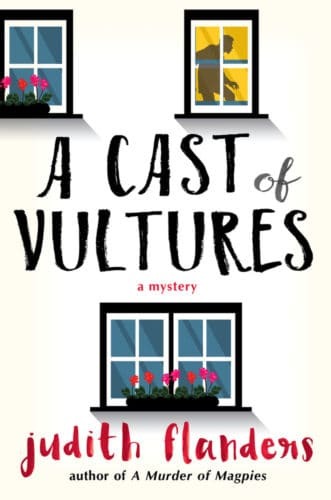 From the acclaimed bestselling author Judith Flanders, A Cast of Vultures continues the sharp-witted series starring book editor and amateur sleuth Samantha Clair. Sam Clair is like a sleuthing Bridget Jones: a witty, self-effacing, smarter than she lets on, sassy singleton in the big city. 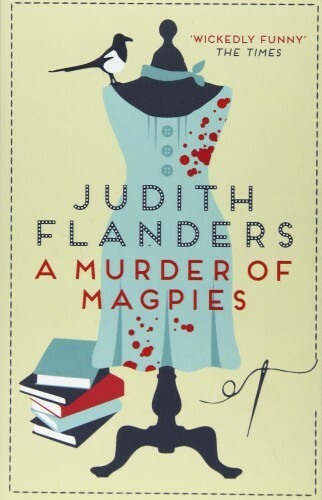 […] m Flanders’ witty prose keeps readers guessing, and charmed by her delightfully realistic protagonist. The highlights of the third in this marvelous and often amusing series (A Bed of Scorpions, 2016, etc.) are neighborhood characters who are a basket of enjoyables and a complex and brainy heroine. Flanders adroitly avoids chick-lit clichés, opting for nuanced, multidimensional characters… Insights into the fraught culture of publishing, where editors balance publicity demands with interference by corporate management consultants who refer to books as “product,” lend interest. Readers will look forward to seeing more of smart, successful, self-deprecating Sam. See more about Judith’s work on Assassin’s Creed here. The idea that ‘home’ is a special place, a separate place, a place where we can be our true selves, is so obvious to us today that we barely pause to think about it. But, as Judith Flanders shows in this revealing book, ‘home’ is a relatively new concept. When in 1900 Dorothy assured the citizens of Oz that ‘There is no place like home’, she was expressing a view that was a culmination of 300 years of economic, physical and emotional change. In The Making of Home, Flanders traces the evolution of the house across northern Europe and America from the sixteenth to the early twentieth century, and paints a striking picture of how the homes we know today differ from homes through history. The transformation of houses into homes, she argues, was not a private matter, but an essential ingredient in the rise of capitalism and the birth of the Industrial Revolution. 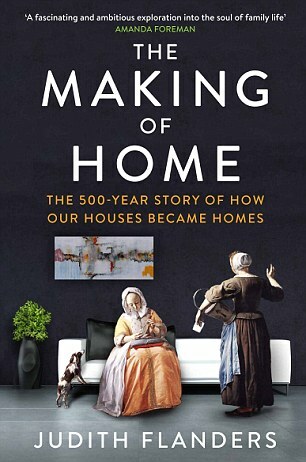 Without ‘home’, the modern world as we know it would not exist, and as Flanders charts the development of ordinary household objects – from cutlery, chairs and curtains, to fitted kitchens, plumbing and windows – she also peels back the myths that surround some of our most basic assumptions, including our entire notion of what it is that makes a family. You know when you have one of those days at the office? You spill coffee on your keyboard, the finance director goes on an expenses rampage and then, before you know it, your favourite author is murdered. When Samantha Clair decides to publish journalist Kit Lovell’s tell-all book on the death of fashion designer Rodrigo Aleman, she can scarcely imagine the dangers ahead. Cue a rollercoaster ride into the dark realms of fashion, money-laundering and murder, armed with nothing but her e-reader and her trusty stock of sarcasm. Victorian buildings still surround Londoners, so we are under the impression we know the Victorian city and how it functioned. 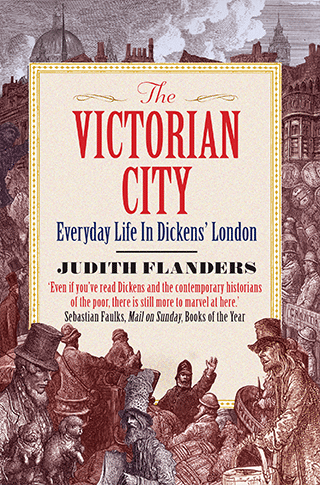 But just as Flanders’ The Victorian House revealed the long-lost daily routines of the Victorian home, so now she describes the comings and goings of the world’s largest city. Calling on the magical eye of Charles Dickens, possibly the greatest ‘look-er’ the city has ever seen, Flanders takes her readers down the teeming city streets of the 19th century, conjuring up the once-common street-bands, street-sellers, street-walkers and street-children. How did passengers hail an omnibus? How were the streets paved before macadam? How did householders collect their drinking water? With these and other questions, Flanders brings back to life a city of pea-soup fogs, horse manure, and even gutters running with blood.